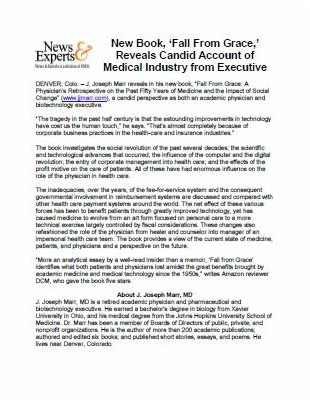 "Great assessment of today's health care system." "Though-provoking and well-written reflection on medicine's last half century." "Modern medicine in one hundred pages." "Yet it is a quick and easy read. The author knows of what he speaks." "Tells it like it is." "I think it will be the perfect gift for a physician." "Great Lives Begin with Great Ideas"